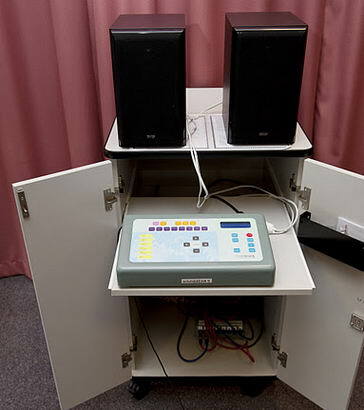 Many children and young people who are unable to produce articulated speech also have limited physical ability to access ICT equipment that can provide an alternative means of communication or equipment that can augment their access to a means of communication. 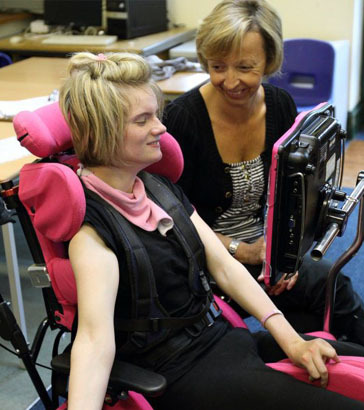 Assessing the optimum means of accessing this equipment is an important step on the way to enabling them to take a more active part in both school and home life. This package has been inspired by ICTS Training Unit 4. 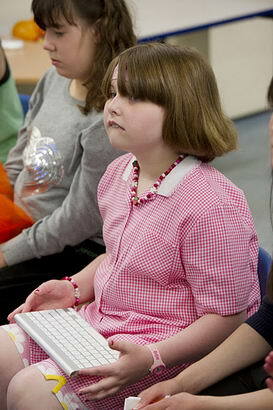 When assessing individual ICT related needs for pupils with SLD, PMLD or CLDD, where is the best starting point? Opens doors to other areas of ability. Enables a quality of independence that has not previously been attained. Reveals levels of cognitive ability which might otherwise have been overlooked. To identify the physical abilities of pupils with severe and complex needs, three important principles need to be checked. Optimal seating is critical to the success of introducing and developing ICT skills. 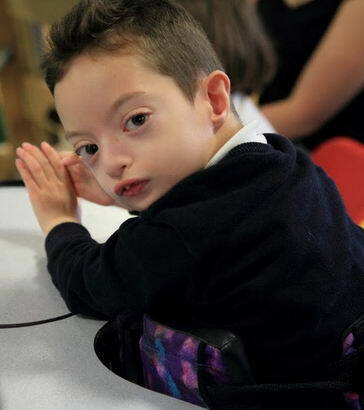 The degree of seating support required to maintain a good position is dependent on the pupil's physical abilities. 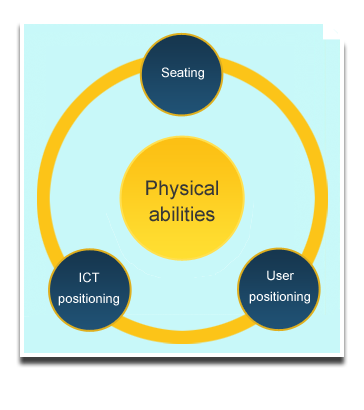 Seating should always be the starting point when identifying individual ICT needs. Seating is also of prime importance when planning access to controlling a switch operated VOCA. The degree of supportive seating will vary from pupil to pupil and will depend on the pupil's physical abilities. 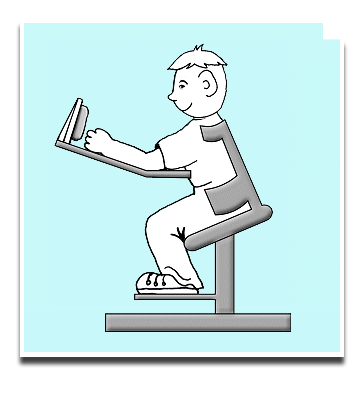 Above all, the seating system should allow a pupil to concentrate on the activity and the movements required to operate an input device. It should not result in the pupil struggling with the instability of their seating in order to maintain balance and gain some minimal control. Ensure that the pupil strikes a keyboard, manoeuvres a joystick, or presses a switch more accurately and consistently. Enable the pupil to achieve much more with much less effort (reducing fatigue). 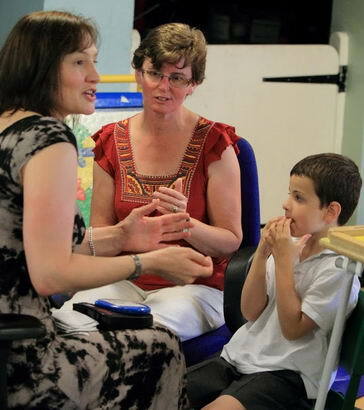 Identifying correct functional seating for use with ICT devices or switches involves collaboration between school staff, therapists (physiotherapists, occupational therapists and speech and language therapists), pupils and parents. Sometimes the seating varies from environment to environment. Is the pupil correctly supported and, above all, comfortable? Can the pupil easily see the screen or device they are using? Is the pupil still able to see and interact with peers? Consultation with other professionals is essential to answer these questions fully and appropriately. 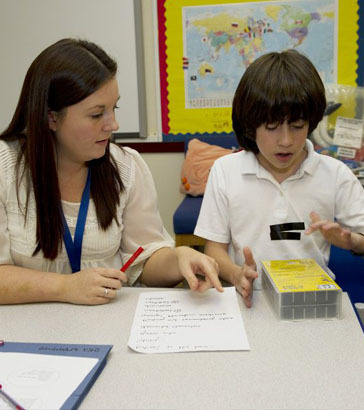 The sensory abilities of a pupil with severe and complex needs are sometimes overlooked. What a pupil can hear and see is crucial in deciding whether and how ICT can be a useful augmentative tool. Hearing and seeing require not only the receptors (ears and eyes) to be functional, but also the pathways within the brain to work and make the correct connections. It is these internal pathways that have great bearing on how sight or sound is perceived by the pupil. The establishment of an agreed baseline is vital. This will involve working with the relevant professionals. 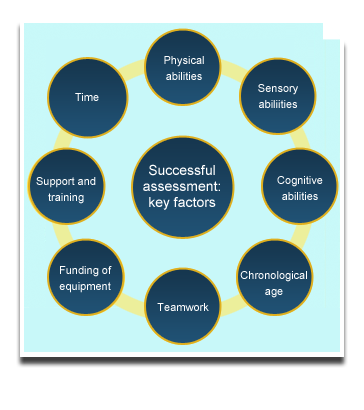 The use of ICT within the base-line assessment process can in itself reveal important information relating to the sensory abilities of the pupil. It is important to recognise and understand the cognitive abilities of the pupil. Pupils with SLD, PMLD and CLDD should have diagnostically detailed assessments of their cognitive abilities in place by the time they start school. ICT can be successfully used as a supportive diagnostic tool within the cognitive assessment process itself. Knowing where a pupil's cognitive ability will affect initial and subsequent ICT hardware and software choices is vital. For example, the decision to introduce one or more switches might depend as much on the cognitive abilities of a pupil as on their physical ability to control these devices. Both the chronological and the developmental age are important in defining an appropriate ICT environment for pupils with severe and complex needs. The content of cause-and-effect software needs to be idiomatically very different for an adolescent with severe learning difficulties as opposed to a young switch user with no learning difficulties. To avoid this kind of pitfall, ICT decisions relating to age should be regularly reviewed by teachers, therapists and parents. A person in the team needs to be identified and nominated as the pupil's coordinator. The coordinator's primary role is to ensure good communication within the immediate team and with local authority agencies. Where teams are multifaceted, the skills of individual team members should complement each other in forming a cohesive entity. The funding of any equipment remains a significant issue. Equipment might be funded from a variety of sources, ranging from local authority and school budgets to charities and local voluntary fund-raising or sponsorship. Many pupils will also be subjected to delay caused by limited budgets. Where additional equipment is identified as a crucial component of pupil's needs, provision should be identified within the pupil's Statement. 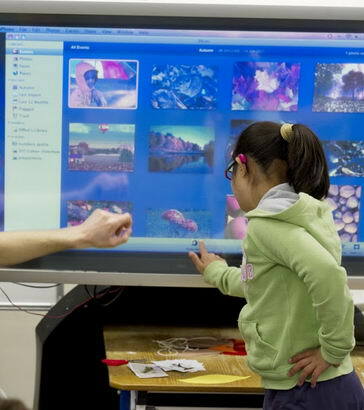 Pupils with complex needs will require ICT environments that are in turn complex and tailored to individual needs. Investment in training and support must be considered beyond the provision of hardware and software. It is an ongoing process, as technology progresses towards better and greater opportunities. Training and support is much more expensive and time-consuming than purchasing and installing the equipment in the first place. Successful outcomes resulting from ICT provision are interdependent with good quality training and well-managed pupil support. Plan and meet with colleagues and family members. Record and monitor progress in the use of ICT and switch use. Arrange non-contact time for classroom assistants/auxiliaries and therapists to prepare and adapt ICT resources. Most importantly, there will be far greater opportunity to observe and record over a long period of time because children tend to behave very differently in differing settings, with different adults and at different times of the day. Of course, all of these interactions need to be recorded and compared with each other. Ask more than one person - include members of the family and staff members. Ask other staff as well as professional in charge. Ensure the recording of the observations includes the context in which the child produced the behaviour. Ask people to report exactly what the child did, before discussing the behaviour. Get detailed description of behaviour, not just a general discussion. Try to speak to people in person, when looking at their reports, enabling further discussion. Wherever possible, get a video recording of the behaviour. Allow sufficient time to observe and record over a long period. This slide has been adapted from Listening to Children, Aitken and Millar 2004. Rely on feedback from one person only. Rely on feedback following a single session. Rely on written evidence only. Rely on 'general' statements ('He often bangs his hand') - always investigate further. Accept an interpretation of particular behaviour without cross checking with others. Forward to What is a Communication Passport?